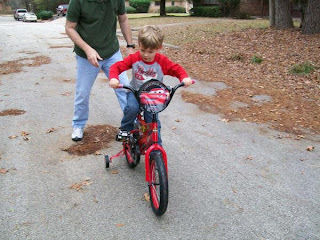 Dawson's big gift this year was a bicycle. Up until now, he's only had tricycles. 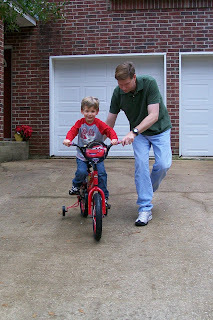 He took to the bike very well and mastered it easily. Going down our steep driveway - very fast and very fun. 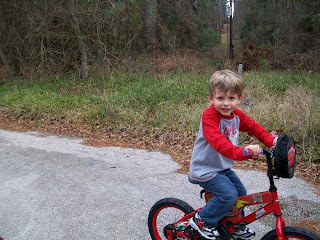 Thankfully, we're the only house at the end of our small, dead-end road so Dawson has plenty of safe road to ride his bicycle. He went back and forth several times and also ventured to the loop road across the street. Very happy with his new bicycle.